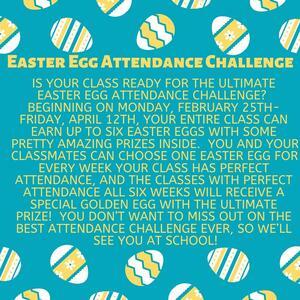 Is your class ready for the ultimate Easter Egg Attendance Challenge? Beginning on Monday, February 25th- Friday, April 12th, your entire class can earn up to SIX Easter eggs with some pretty amazing prizes inside. 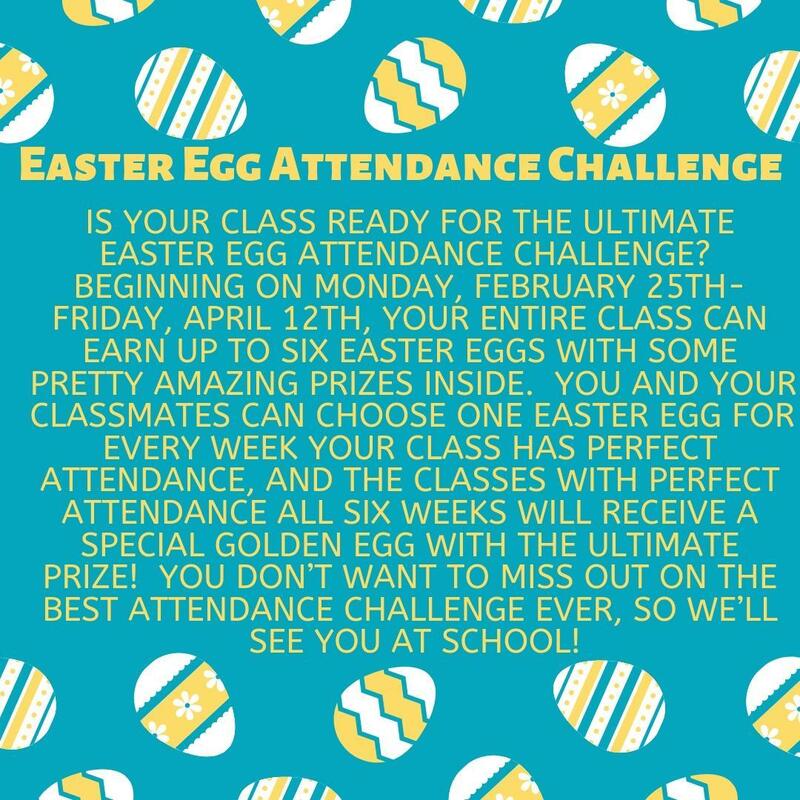 You and your classmates can choose one Easter Egg for every week your class has perfect attendance, AND the classes with perfect attendance ALL Six Weeks will receive a special Golden Egg with the ultimate prize! You don’t want to miss out on the best Attendance Challenge ever, so we’ll see you at school!